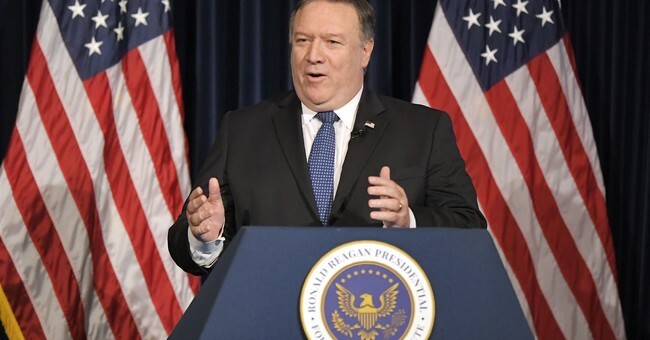 Later this week, the Secretary of State Mike Pompeo will host the first-ever “Ministerial to Advance Religious Freedom” at the State Department headquarters in Washington, D.C. The fact that this meeting is being held is about as important as what will come out of it. True, the substance matters. It’s crucial that activists and government officials from around the world hear tales of persecution from individuals whose plight has been overlooked or who have been beyond the reach of all press coverage. It is important that organizations know how to access government funds available to help them aid the persecuted. It is valuable for foreign government officials to understand that promoting religious freedom cuts against instability and decreases the likelihood of terrorism. And foreign leaders should be exposed to groundbreaking and helpful research showing a link between religious freedom and economic growth. All of this, along with the mutual encouragement and spurring one another on toward greater religious freedom, stand to be positive outcomes of the Ministerial. But there stands to be another positive outcome from the event; the very fact that the Ministerial is being held sends a signal that the United States is taking religious freedom seriously. Let us not underestimate the power of this message. Take Nigeria, for instance. Religious freedom in that country has been steadily sliding downward, despite the efforts of a number of hardworking advocates and non-governmental organizations. What is missing (and necessary) is serious and sincere attention on the matter by the Nigerian government—with the United States pressing that case. When President Trump held a joint press conference this past April with Nigerian President Muhammadu Buhari, he confronted his counterpart about the “religious violence in Nigeria including the burning of churches and the killing and persecution of Christians,” urging Nigeria to “immediately secure the affected communities and to protect innocent civilians of all faiths.” This direct approach caught Buhari off-guard, and he scrambled to respond by immediately sending security forces to troubled areas of his country. While it may be a one-off response by the Nigerians, the strong signal from President Trump that he was aware of and concerned about the persecution did have a positive effect—it signaled to President Buhari (and other world leaders) that the United States cares about religious freedom; and that produced results. The issues in Nigeria are ongoing, and ultimately we must have follow-through from all levels of the United States government to ensure the Nigerian government actually deals with its religious freedom problems. But public signaling from President Trump has had a productive and positive effect. With regard to Nigeria, it should be continued—and it should be replicated elsewhere. The State Department Ministerial this week helps achieve this goal. This week’s meeting looks to include officials from over 80 governments worldwide, in addition to the many outside organizations and survivors of religious persecution who will be present. Government officials will not only return to their countries with greater knowledge and expertise, but an ingrained understanding that the United States cares about this issue. These officials will not only bring this understanding back home, but to their efforts to tackle religious freedom problems everywhere around the world. Many foreign policy concerns compete for the attention of world leaders. It is crucial that the United States send the message to them that it won’t overlook religious freedom. After the Ministerial, the issue of religious freedom will hopefully be front and center in foreign leaders’ minds, as it should be. Whatever else is addressed in our international relations, this issue shouldn’t be left out. Indeed, it should be the centerpiece. If the United States can successfully send this signal, we can begin to make a dent in our world’s religious freedom problems, and the Ministerial will have been an astounding success.